When baby stains appear, treat them fast with a laundry pre-treater designed specifically for your baby’s clothes. 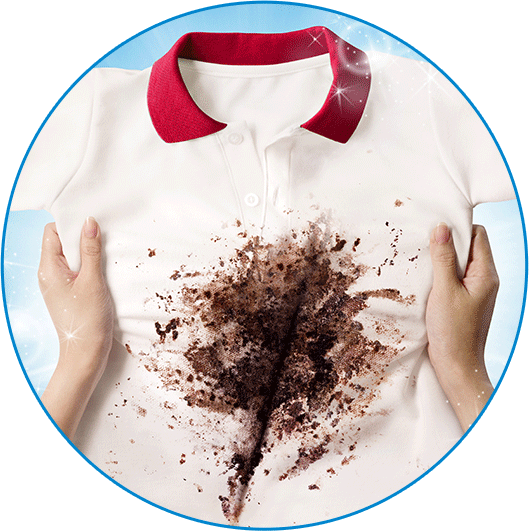 OxiClean™ Baby Stain Remover Spray clings to stains, diving deep into clothing fibres to lift even the most stubborn stains away from the fabric. Pre-treat baby stains safely, quickly and easily! With a baby in the house, there’s never a shortage of baby stains! Luckily, OxiClean™ Baby Stain Remover can take on every one—from diaper leakage and spit-up to dried-on formula, baby food, juice and jelly stains. And its formula is gentle enough to use on your baby’s clothes. Rest easy that your baby’s laundry is under control! 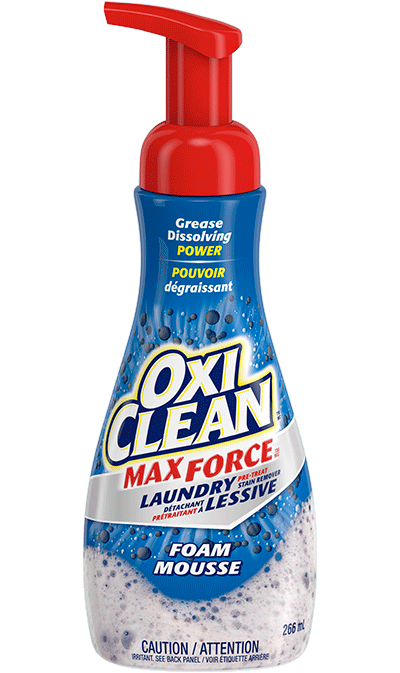 How did OxiClean™ Baby Stain Remover Spray work for you? The baby stain remover spray is amazing! 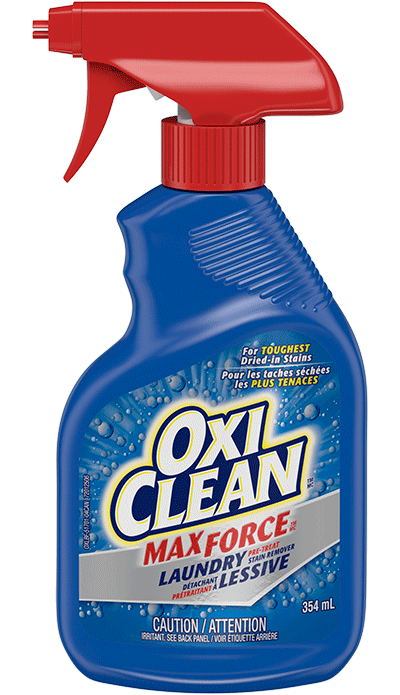 I used it on all my son's messes. Including stains that were a week old, set in stains, and my husband's nasty stained pillow, majority of the stains were completely removed. Works great!! 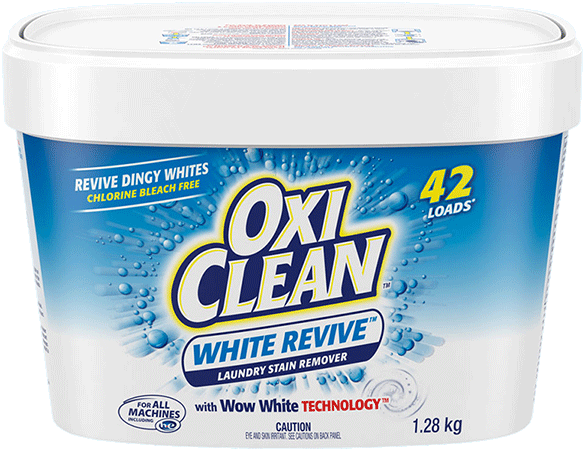 Removes the stains out. Is gentle formula for babies too. No harsh chemicals. 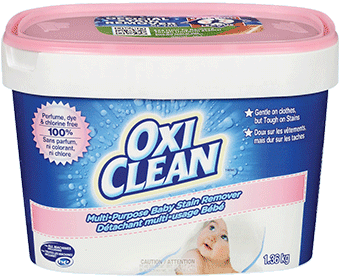 OxiClean™ Baby Stain Remover contains just enough detergent to remove your tough baby stains but is 100% free of chlorine, and dye. Is the product safe for colours? 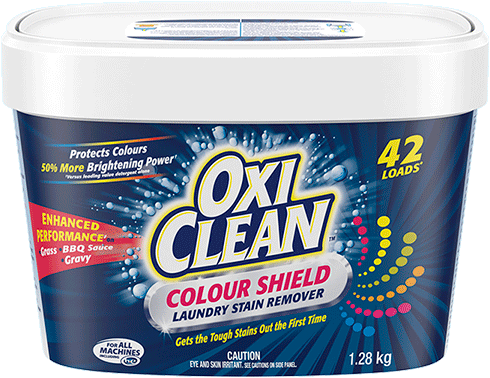 OxiClean™ Baby Stain Remover is colour safe. However, not all clothing is colourfast. Always remember to test for colourfastness in an inconspicuous area before using the product.